The biggest retro night to hit the south east. If you love to mingle get on down to The Love Shack Baby! 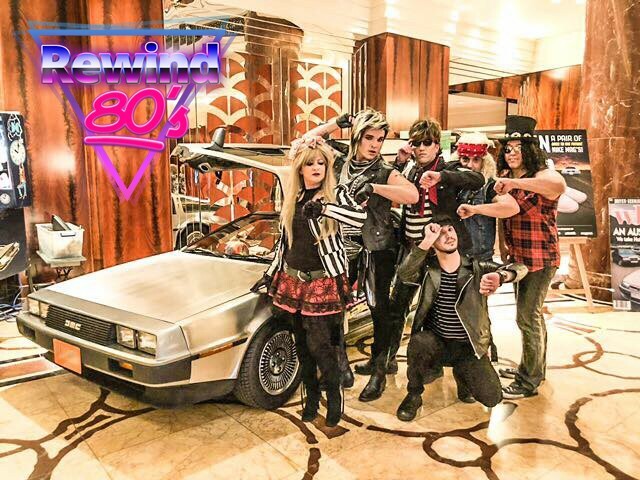 All the retro hits you can handle with your hosts and Australia's Most wanted Tribute Band – Rewind 80's! 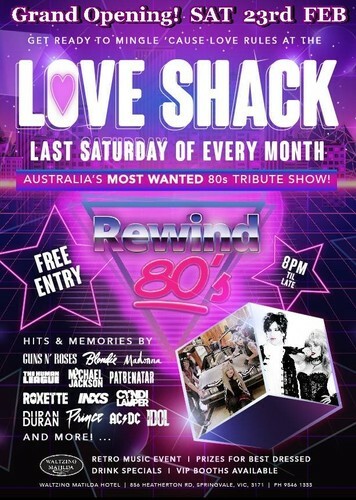 Rewind 80s play 2 huge sets in the band room and there are VIP booths available to watch, listen and drink the night away. The Love shack is a little old place where we can get together. Love rules at The Love Shack! Last Saturday of every month next one, Saturday March 30th 2019.